Bezlio by SaberLogic is a no-code/low-code development platform with a mobile app that allows mobile workers, like sales teams, field techs, and shop floor users, to have real-time access to your VISUAL data in easy to use dashboards wherever they need it – on mobile devices, desktop, or the plant floor. QBuild Software is the industry leader in CAD/PLM/PDM-Infor VISUAL integration software. For over 15 years, QBuild has been developing integrations to increase engineering productivity, reduce costs, streamline internal ECN processes, create consistency between CAD/PDM/PLM and ERP systems, and equip sales teams with engineering expertise. 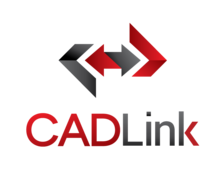 Our flagship product, CADLink, allows engineering designers to view, modify, update, and create ERP engineering information such as Bill of Materials (BOM) and part master data without ever leaving your CAD, PDM, or PLM software.Our many years of experience and commitment to excellence have earned us the reputation as the best CAD-ERP integrator in North America. SourceDay is the only direct procurement automation solution purpose-built to transform complex buying processes. By integrating with VISUAL ERP, SourceDay increases collaboration between procurement and suppliers and improves supplier performance. This eliminates manual processes, providing total data access and visibility to reduce risk, costs and delays. The automated PO functionality keeps VISUAL up-to-date. Document Control shares and manages all types of documents with suppliers. SourceDay automates the RFQ process and Quality Control tracks the incoming inspection of materials and flags for review. ASN’s inform which POs and materials are shipping to know the exact arrival date, size, weight and quantity of containers to expect. Supplier Scorecard grades 100% of suppliers. SourceDay AP 3-way matches POs and invoices for quicker payment process to suppliers. With SourceDay Mobile procurement leaders and their teams can manage procurement from anywhere at any time from their smart phones. Now users will have quicker access to data where the data is being consumed for endless collaboration. Synoptix is a leading innovator of ERP-based financial and operational reporting software. uniPoint Software has provided almost two decades of leadership in developing and implementing Quality Management Software. Quality for Infor VISUAL by uniPoint is a feature-rich, intuitive and integrated platform that allows users to consolidate, automate and integrate their quality management functions. Core Quality Modules include the complete life-cycle management of these activities: Non-Conformances; Corrective/Preventive Actions; Tool & Equipment Maintenance, Repair & Calibration; Doc Control, Customer Service/Complaints; pre-loaded Key Indicators Dashboard with over 800 Quality Metrics; Graphical Trend Analysis; Requests/Change Management; and an integrated workflow system called the To-Do List. uniPoint Add-On Modules offer advanced controls for the entire Inspection process, including Mobile Inspection Data Entry, AS9100 FAI forms and the Inspection Manager module, which allows for the automatic polling of data from your CMM equipment into your Inspection Records. Plus we offer modules to manage Auditing; Health & Safet and more. PathGuide Technologies is a leading provider of warehouse management solutions for wholesalers and industrial distributors across North America, Canada and abroad. PathGuide’s Latitude is an enterprise-grade warehouse management system that automates warehousing and distribution to provide real-time online information about inventory. Latitude WMS is flexible enough to accommodate each customer’s unique business practices while ensuring that basic and advanced tasks are performed efficiently and accurately. Latitude provides the tools to manage truck route shipping, truck load verification and on-site delivery confirmation, as well as inbound transportation scheduling. The Latitude WMS suite offers user-friendly parcel shipping integration software for getting product to customers quickly, securely and affordably. Latitude Manifest & Shipping System simplifies warehouse shipping, package tracking and route management. It’s a seamless multi-carrier shipping solution that finds the lowest available shipping rate (or fastest option for those rush orders) from all available carriers. LMS integrates with more than 25 different ERPs and works in tandem with Latitude WMS or can run stand-alone. Kebrite Solutions is a software development company that leads the way through its integration with Infor VISUAL and external payroll solutions. Our Workforce Management Suite delivers fast, substantial and sustained return on investment in the areas of Attendance, Payroll, Shop Floor Labor and Part Requirement Data Collection, Document Control, Quality Management and Advanced HR functionality. Advanced HR covers, among other things, keeping all staff general records, salary and position history, benefits, injury & illness records (OSHA), skills and training requirements and employee time-off requests. We are one software solution linking VISUAL, your payroll provider and all your HR staff management requirements. Kebrite’s Workforce Management solution has been specifically designed to deliver functionality that helps manufacturing companies drive results through informed decision making and greatly reducing the need for manually record keeping and/or manual labor entry. Management staff gain the ability to know exactly how the labor force performs, what it’s doing at any point in time and how effectively it produces; as a result your team will deploy resources more efficiently, bid on jobs more accurately or price your goods more aggressively. Since 1991 Data Communication Solutions (DCS) has focused exclusively on business-to-business complexities. We improve clients’ competitive position by delivering appropriate and timely EDI B2B solutions to meet their business challenges. We do not sell software. From assessment, planning, mapping, installation, and training, to maintenance, DCS helps its clients excel. Over 700 companies have improved their process and became more self-reliant with DCS’ help. The goal of DCS is to help you improve your business processes. Your existing EDI and ERP systems are the best foundations upon which to build. The challenge is to connect to customers, transporters, and vendors in the most economical yet efficient method. DCS is a member of AIAG, GS1 and OAGI and supports companies all over the U.S. as well as Canada and Mexico. DCS is headquartered in Minnesota with EDI Consultants throughout the United States. Exhibitors at VISUAL Focus have been carefully selected by our organizers. These companies are partnered with Infor Channel Partners, and have proven products and services that will help you advance your business and extend VISUAL's capabilities. Avalara liberates businesses across the globe from the burdensome, error-prone, and labor-intensive task of collecting and remitting transactional taxes manually. With a full suite of cloud-based tax automation solutions, Avalara helps businesses of all sizes achieve compliance with transactional taxes, including sales and use, VAT, excise, communications, and other tax types. In today’s environment of ever-changing tax rates, rules, boundaries, exemptions, tax holidays, reporting requirements, and filing deadlines, Avalara helps businesses ensure they are collecting the right rate at the right time. Each year, the company processes billions of indirect tax transactions for customers and users, and files more than a million tax returns and other compliance documents. Other products we provide include TM Plus™ - A real-time labor and material tracking software package that integrates with Infor VISUAL ERP. Jeff Lem, MBA, P.MM, is President and Founder of Portable Intelligence Inc. with 25 years supply chain experience. He is also Director of Education for the Material Handling Management Society of Ontario and on the steering committee of the VISUAL Manufacturing Canadian user group. 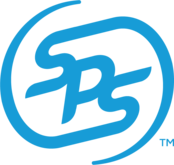 SPS Commerce is a leading provider of cloud-based solutions that make it easy for retailers, suppliers, grocers, distributors and logistics partners to work more efficiently across all channels in managing item data, order fulfillment, inventory management, and sales analytics. Our unique blend of solutions, processes and human expertise leverages the world’s largest retail technology network, giving our 75,000 customers the ability to focus their core resources on supporting their e-commerce, brick-and-mortar and supply chain initiatives. SPS has achieved 71 consecutive quarters of revenue growth. For additional information, please contact SPS Commerce at 866-245-8100. CADTALK is the world’s first software leveraging artificial intelligence to transform engineering bills of material from virtually any CAD or PLM application into manufacturing bills of material and routings inside popular ERP applications. Other applications on the market simply map data from CAD to ERP assuming the data is the same. Worse yet, they require engineers to duplicate ERP data inside their CAD systems. This method is flawed and lacks sophisticated rules-based artificial intelligence to identify manufacturing operations, costs, and other ERP data that is required to take advantage of ERP features and like planning, scheduling, and costing. CADTALK’s inherent intelligence allows it to calculate run times, identify vendors, and create item and inventory records turning hours of mind-numbing work into minutes of effortless review saving you time and reducing data entry errors with precise production standards ensuring accurate material planning and production scheduling. CADTALK Design for Manufacturing (DFM) allows engineers to access part information from the ERP database while working inside their CAD system to ensure that they are designing parts with the most current information available. Visit our website at https://www.cadtalk.com/demo/ to schedule a free demonstration or email info@cadtalk.com to request a free 30-day trial. RenaissanceTech specializes in the implementation, customization, and deployment of enterprise level configuration software. Our target consumers are manufacturers who produce highly specialized, customizable products like fire trucks, boats, industrial machines or even scientific equipment. Today’s manufacturers must be agile and produce products that are customized to their consumer’s ever-evolving needs. Configuration software allows the manufacturer to make quoting and ordering easier for their customer - while customizing the experience, providing the rich detail of their products, and delivering a streamlined engineering process for the manufacturer. Our consulting combines domain experience with industry-leading software to create integrated solutions for our clients; improving how they do business, inside and out.